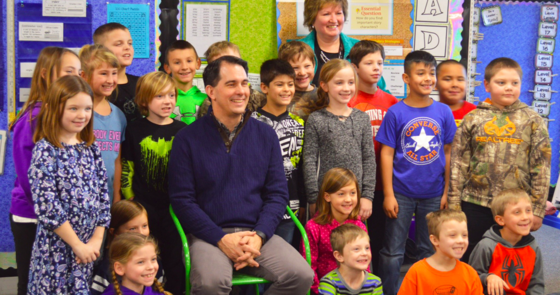 Our top priority is making sure Wisconsin’s students, regardless of their ZIP code, get access to a high-quality education which gives them all the knowledge and tools they need to excel. Our state’s rural school districts face a unique set of challenges. That’s why, in addition to our historic $11.5 billion investment in K-12 education which supports every student in every school in the state, we also provide further support for Wisconsin’s rural schools. We increased funding for High-Cost Transportation Aid by over $10 million to help offset the increased cost of transporting students to schools in rural areas, and we further invested in addressing students’ mental health needs through increased training and access to care. And we will continue to provide Broadband Expansion Grants for underserved areas of the state so schools and students can gain access to fast, reliable internet service, including mobile hotspots for school buses. On top of that, Representative John Nygren (R—Marinette) and Senator Howard Marklein (R—Spring Green) are introducing a bill that incorporates initiatives from our original budget proposal to help rural schools. The proposed bill would increase per-student Sparsity Aid for qualifying school districts from $300 to $400 for the 2018-19 school year to help offset the challenges faced by low-population rural schools. It also raises the Low Revenue Ceiling incrementally from its current level of $9,100 to $9,800 by the 2022-23 school year. The bill simultaneously stays accountable to local voters and protects property taxpayers in that districts where a referendum to raise the revenue limit was rejected by the voters within the past three years would not be allowed to raise their revenue limit for some period of time. We’re pleased Representative Nygren and Senator Marklein are spearheading increased support for rural schools on top of our historic investment in K-12 education. It's one more way we're moving Wisconsin forward. 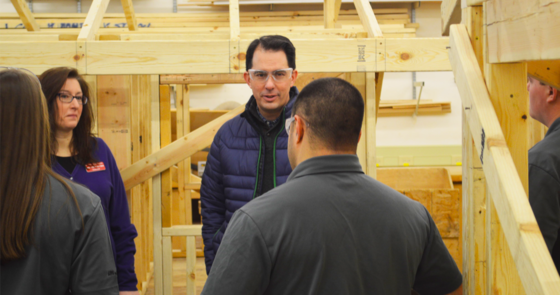 Last week, I visited schools across Wisconsin to highlight the great work our students are doing as part of the Wisconsin Department of Workforce Development’s Youth Apprenticeship Program. The program connects high school students with experienced mentors and employers in a field of the student’s choosing to receive hands-on training and real, employable skills. From finance to art, from construction to health science, students have the opportunity to learn more about their chosen field firsthand, all while making connections with potential employers and demonstrating a willingness to go above and beyond their required coursework. Youth Apprenticeship helps develop our state’s highly-skilled workforce and provides our students with an innovative, concrete approach to education outside the classroom. For more information on the Youth Apprenticeship Program, visit https://dwd.wisconsin.gov/youthapprenticeship/.